A nourishing companion to any stylish bathroom, suitable for handwash and bodywash of all skin types. 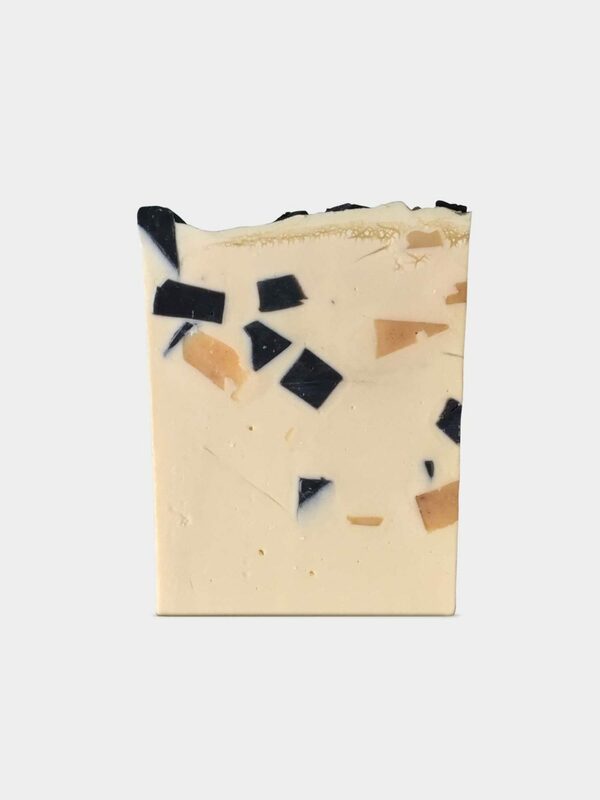 White base with black and pink terazzo pieces, made out of premium vegetable oils and butters and with an nice lemongrass scent. Soap contains: saponified olive, coconut oil, cacao butter and sunflowerseed oil, activated charcoal, cayenne pepper, titanium dioxide and lemongrass essential oil. bellaOpera soaps are handmade bars of natural soap. bellaOpera natural soaps are made for you and for the environment, without artificial additives and harmful ingredients. Every soap is handmade and hand packed in Slovenia by Anja and Alja. Due to the handmade production the bars can slightly differ in its shape, color and smell. Products are not tested on animals.